It had become obvious that my guide had never done this before. Real fear shows itself through one’s eyes. He accidentally made eye contact with me when he was halfway up the wall. One look and I immediately felt a heavy weight in my stomach. If either of us were to fall now, no one would be able to help us. I have been looking forward to hiking he Great Wall of China since the beginning of my Life List mission. The story of the Great Wall of China is as close to a real life fairy tale as I have ever heard. It is a wall of course, but in popular culture it is more of a bridge. A bridge between what is legend and what is real. Much like China itself, the popular Western media depiction of the Great Wall of China is an interlacing of fact and myth. It was originally conceived by Qin Shi Huang, the first emperor of China. (The same emperor who ordered the creation of the now famous terra-cotta warriors) He had originally commissioned it in order to protect mainline China from the Mongolians to the north. The first version of the Wall was made from compacted earth (as opposed to the stone bricks we think of today) and took only 15 years to complete. (The progress was greatly sped up as the project merely connected previously existing walls rather than building an entirely new wall.) This was the only time the Wall existed as a continuous structure. After its completion, the Wall was largely abandoned. Being expensive to maintain and guard, subsequent dynasties, either let it decay, reenforced sections of it for defensive purposes or deconstructed it to use for parts. 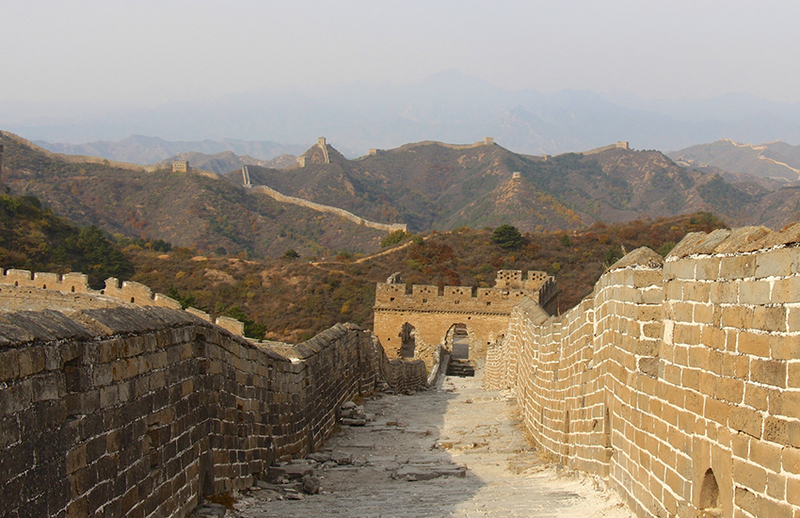 It wasn’t until roughly 1400, that the Ming Dynasty started work on the wall that we know today. Today’s wall is very different than the Wall that exists in popular culture. The real Wall is definitely not visible from space (it is far too thin) and most of it is decayed and unusable. In the Gobi desert, many kilometers of it are completely buried in sand. In other sections it is completely overrun by lush forest. From a defensive perspective, the Wall, even in its peak, was superfluous as it was meant to keep out the Mongolians but was completely ineffective as they ended up attacking by horseback and as such avoided much of the mountainous land the wall occupied. For most of China’s history, the Wall was actually seen with negativity and embarrassment. For generations, it symbolized the power of an oppressive government and the unsavory death of countless people. It is unknown exactly how many workers were entombed in the center of the Wall (most died from starvation or exhaustion) but estimates range from thousands to hundreds of thousands. It wasn’t until the Wall was explored by Westerners that China started to showcase it as a symbol of longevity and greatness. With all of that said, the Great Wall of China is the single most impressive man-made object that I have ever had the pleasure and honor of seeing. It’s history might be dark and its state decrepit, but the thousands of kilometers that still exist after 600 years are absolutely breathtaking and astonishing. My guide drove me to a small town about two hours north of Beijing. The small fishing village was located at the foothills of a large mountain range and was completely overrun by ladybugs. We walked down a dirt road and started up a small woodland path. We were headed directly into the forest. My guide, Stephen, pointed to the top of a looming mountain range. I squinted to see the small rectangle at the top of the high mountain. It was going to be a long hike. As we continued down the trail, it became harder and harder to follow. It was overgrown and the path was only marked by periodic beer cans and strategically placed water bottles. I had wanted a local experience and now found myself over my head experiencing one. Stephen stopped when he saw me laughing. “We are on an adventure!”, I said like an excited hobbit. As the trail went on, the slope got steeper. After about an hour of hiking through the remote Chinese wilderness, we stopped at a rock face. In graffiti were Chinese characters. This Way To Heaven. Welcome. The face was nearly vertical and at least 50 feet (17 meters) high. As a cruel joke, someone had tied an old cable to a root halfway up. It hung there mocking us for not having climbing equipment. My professional guide, Stephen, avoided eye contact with me. It was clear that he was nervous and had never done this before. I looked back at the path behind us. We had just finished two hours of hiking. Slowly I inched myself up the steep cliff face. I was actually more scared to look up than I was to look down. About half way up, I realized that the cliff was higher than I had anticipated. 30 sketchy minutes later we both made it. I called out for a high five from Stephen but only received a confused facial expression. I guess high fives don’t translate into Chinese. We spent another hour hiking and eventually made it to the base of the watch tower. The section of the Great Wall that we had just spent hours climbing to was completely full of tourists. People had warned me that my time in China was going to be confusing. I had underestimated how true that was going to be. Stephen had led me to via a remote route to Mutianyu, on of the most touristy sections of the entire wall. It was me, Stephen and about 10,000 people wearing camera straps and fanny packs. Within the next hour, I said wow at least a twenty times. I couldn’t intellectualize how funny and odd my situation had turned out to be. That night we drove an additional three hours north to a section of the wall that Stephen described as more “peaceful” than my first impression. He said we would be staying the night with a local family and would be eating dinner with them. I was skeptical but also excited. We arrived in a tiny village far outside of Beijing. Stephen led me into the home of a local family and showed me to a simple room. I attempted to be optimistic but every mental alarm that I have went off. The guesthouse was one of the creepiest buildings I had ever been in. It was lit by two dangling bulbs in the center of a big concrete room. For no apparent reason, every surface was wet to the touch. There were old weapons hanging on the walls and a flickering screen showing the feeds of numerous cameras around the property. Where the hell was I? I asked for a key to my room and locked my gear to an enormous pipe in my small leaky bathroom. This was clearly going to be a long night. For dinner, Stephen sat me at one table and then joined the local family at another table. In loud Chinese they shared the stories of the day (or something, I couldn’t tell what they were saying.) I tried to make my way to the table to join them but was immediately dismissed. There was one other person in the room, a lone Australian woman (also at her own table) who was as confused as I was. I joined her and we swapped stories. Apparently she had explored the same section of the Great Wall that day but had used a cable car to get to the top rather than a risky mountain climb. (I was secretly proud of my experience.) We enjoyed the meal together and promised to try to save one another if a situation came up. At 5:30 the next morning, Stephen and I started the next portion of our Great Wall hike. After a short hike we arrived at the top of a barren ridge. As far as I could see, there wasn’t a tourist in sight. Finally, a remote section of the wall to explore. As the sun was rising, I had the Great Wall of China all to myself. My first impression of this tourist-free section of the Wall was that I loved how authentic it felt. The portions of the Great Wall that are normally shown in photos are maintained and continually rebuilt by the Chinese government. This of course, is not the case for the vast majority of today’s Great Wall. The remote parts of the Wall are overrun by vegetation and run down by weather. This of course, makes them incredibly more fun to explore. Hiking these remote parts of the Wall were my favorite part of the entire trip. The aspect that impressed me the most about the Wall was how it was built on top of incredibly steep mountain ridges. The sheer logistics of its construction are incredible. I couldn’t help but imagine what it must have been like to carry the bricks up the mountainside. 600 years had passed since the bricks I was walking on were originally laid. That was three times as old the entire history of my country and farther back than any of my family records. It felt like I was time traveling. 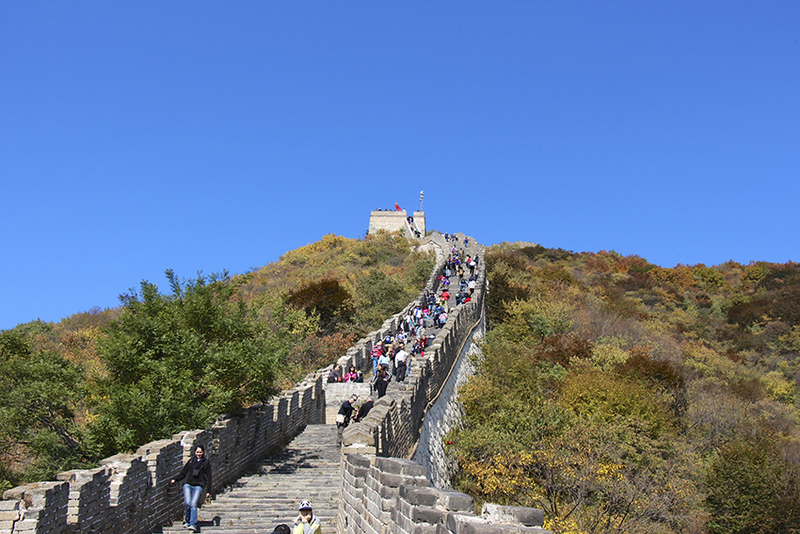 Hiking the remote parts of the Great Wall of China was my most invigorating and surprising Life List item thus far. 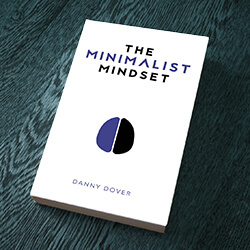 The experience frightened me, inspired me and most of all made me feel alive. It showed me a glimpse of the extreme power of human endurance and awakened in me a desire to revisit history that I thought I knew. Awesome adventure. And so funny. I was there last December when it was really cold so the only people there were a few Chinese girls anxious to get their photo taken with a big white American dude. I enjoyed many beautiful attractions of west coast in north America and especially NIAGARA FALLS is one of my favorite. I just got one chance to visit Great WALL of China in my whole life. At first I see it so boring like bunch of bricks,a lot of dust but as we move on towards the cliffs and mountains I really enjoyed it. You keep walking and it looks like never ending. Thanks for the story my friend. If you have some north america journey do share it with us. Thanks for sharing this great adventure. I plan to use it to supplement my History class when I teach about China. The pictures are really awesome. You are developing (pun intended) a great eye for detail. I laughed out loud when I read about your hike to 10,000 tourists. How bazar. I’m glad this life long dream lived up to expectation. you stayed in a place where the walls were wet?! Sorry… as awesome as your adventure was, I can’t seem to shake the image of a slimy room with two bulbs burning down on it (in my head they hang from ceiling and sway around creepily, casting weird shadows on everything) from my head!